Most people have heard of the famous explorers, Lewis and Clark. These men led an expedition to uncover the western part of the United States. Like earlier explorers, they befriended Native Americans. A young, Indian woman, named Sacajawea, joined them acting as a guide. Learn more with our online homeschool lesson on history. We find games and activities to make your online learning fun and free. Enjoy! *Social Studies: Grades 4-12, some sections are suitable for early elementary and preschool. A great video to watch as a family is National Geographic's Lewis and Clark, narrated by Jeff Bridges. We found it on Netflix. It runs approx. 45 min. Let's get started with a Schoolhouse Rock Video on Westward Expansion. This video is from Schooltube.com, so you won't find inappropriate ads. 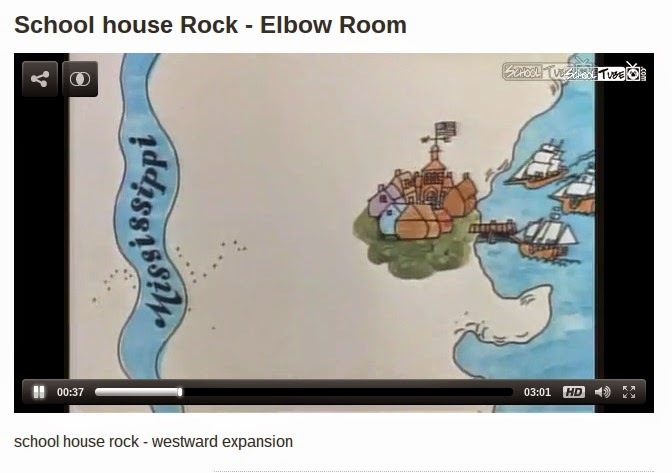 Schoolhouse Rock on SchoolTube: Westward Expansion. National Geographic video on Famous Explorers Lewis and Clark. Famous Historical Figures: Lewis and Clark. 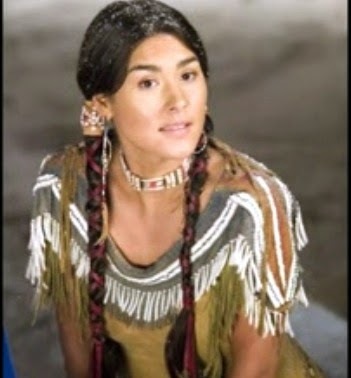 Note: Sacajawea- nobody seems to know how to spell her name. You will see it spelled Sacagawea and Sacajawea. There is also a huge discrepancy in her date of death. Watch this video to learn more. When you click over, be sure to click the "x" in the upper right corner of the video to remove the ad. Sacajawea Video Biography for 4th - 12th grade. Short Video on Sacajawea for Preschool from Nick Jr.
Who was Sacajawea? Read this biography about Sacajawea to learn more. Here's another version: Sacajawea bio for early elementary students. She was so important that we have postage stamps and currency in her honor. Enchanted Learning has some free printables on Sacajawea. When do you think is the true death date of Sacajawea? What makes you believe this theory? Answer in your daily journal. There are also trees and plants named after Sacajawea. Interactive Map of Lewis and Clark Expedition. This map shares excerpts from their journals during each section of the journey. Use the map to answer the questions below. Copy and paste this into a Google Doc to answer the questions. In what state did the expedition begin? In what state did the expedition end? What does the heart on the map represent? What travelling years are depicted on the map? Name 3 Native Peoples they met on their journey. Play Women in Social Studies Word Game. Use this FREE PRINTABLE CHARACTER MAP to compare Meriwether Lewis and Sacajawea. Note their similarities and differences. Sacajawea; Meriwether Clark; William Clark; expedition; Louisiana Purchase; corps; navigate; encounter; fort; translator; trek; accurate; species; point of view; perspective. Read more about the Lewis and Clark Expedition as you research to write a bio paper on Lewis and Clark. Click each image in the article to learn more. This is a good resource for images to add to your paper. Just right click on the image, copy or save, and then insert or paste into your document. If you are writing in your daily journal, print the images and glue or staple them onto your paper. Be sure to give your paper a clear title. Early elementary students should write 3-4 paragraphs. Older elementary through high school need to write a minimum of 5 paragraphs. For the introductory paragraph, start with an opening sentence, define what you will talk about with clear sentences. Use these sentences to write the main body of your paper. Talk about each sentence in detail using descriptive words. If you mention it in your introductory paragraph, be sure to go in depth in your middle paragraphs. Tell about important dates, places they explored, and troubles they faced on their journey. Finally, use the last paragraph (summary) to summarize what you've just talked about. Don't bring up anything new in the last paragraph - just tell us again briefly what you've already told us. You can even start with, "In summary". For example, In summary, I have described how to write a biography paper on Lewis and Clark. Lewis and Clark were famous United States explorers who travelled with an Indian guide named Sacajawea. Without the work of these, brave people, the West could have remained unknown. Here is a fun game that will help you with facts on the Lewis and Clark Expedition. Lewis and Clark Game. 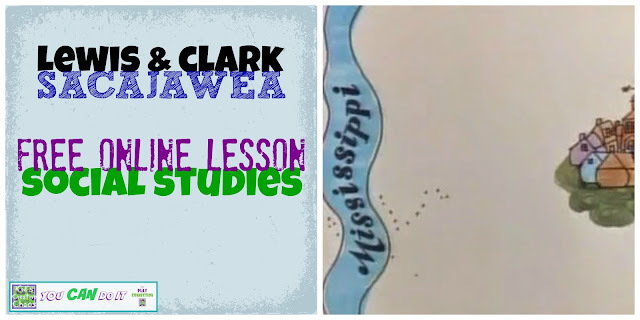 Have you completed our United State Capitals Lesson? This week we played a game to review what we've learned. Review the United States Capitals Game. *These are the weekly lessons I do with my children. We supplement these activities with reading a book of your choice for 30 minutes each day (bedtime counts), Khan Academy and Time4Learning Math Lessons, and taking a break every 30 minutes for exercise time (we run up and down the stairs, walk around our yard, ride bicycles, or jump on an indoor trampoline). Copyright 2014 by Lora Langston, Kids Creative Chaos.